Bob Dhillon weaves his work, his life, his culture, his work, and everything else in between into an articulate yet historic story. Variously described as flamboyant, energetic, passionate, and driven – it is easy to ascertain that Bob is one of a kind. Bob, whose real name is Navjeet Singh Dhillon is the first Sikh billionaire. Dhillon is cognizant of how his juxtaposition of wealth creation and being a Sikh has spawned into sequential pages within unbelievable chapters in the novel of his life. Dhillon’s narrative begins with his origin and roots in Tallewal village near Barnala in India. Although he considers India to be his homeland, Dhillon was born in Japan in 1965. "My grandfather, Saproon Singh Dhillon left the village long ago for Hong Kong where he started a North China Shipping Company to carry goods to and from Japan where I was born. Then we moved to Hong Kong,” says Dhillon. Six years later, the family moved to Liberia to tap the trading market of West Africa. During the 1970s, when a bitter civil war erupted in the unstable republic, the family lost everything, sought refuge in Vancouver, and then soon after moved to Alberta. At the age of 19, Dhillon bought two old houses, renovated them, and sold them, making a profit of $19,000. Over the next 10 years, he worked hard, slept very little, operated his office out of the trunk of his car, and made millions. “I was already a millionaire at the age of 20 or 21, I think. I did real estate business worth over $150 million over the next 10 years," states Dhillon. In his early 30s, he launched a company, Mainstreet Equity Corporation to buy and refurbish apartment buildings in Calgary and Edmonton. “Mainstreet specializes in ownership of apartment buildings. We buy rundown, badly managed buildings, improve their interior and exterior, introduce advanced systems to bring down operating costs, and then rent them out at higher rates. We are consolidating the mid-market apartments,” states Dhillon. Currently, Mainstreet Equity Corporation is the only Sikh-owned company listed on the Toronto Stock Exchange and is worth more than $40-million. Dhillon owns more than 5,000 residential properties across this country, which he states works out to be about half a billion dollars in assets. “Mainstreet Equity is doing well, the buildings offer decent cash flow and interest rates are still low. Demand for rentals are expected to be high because more people tend to rent during recessions and the supply of new condominiums and starter homes dwindles – my company is very fortunate. I have a niche within real estate world and that is the segment of apartment buildings. It is one business that has not been consolidated - I have 20 percent of the market in Surrey, 20 percent in Abbotsford. I have all these markets, which genuinely have many immigrants and no supply,” says Dhillon. Dhillon’s wealth is diversified. He is the owner of National Payment, which is merchant credit card processing, but also has dabbled into tourism, hospitality, and venture capital. 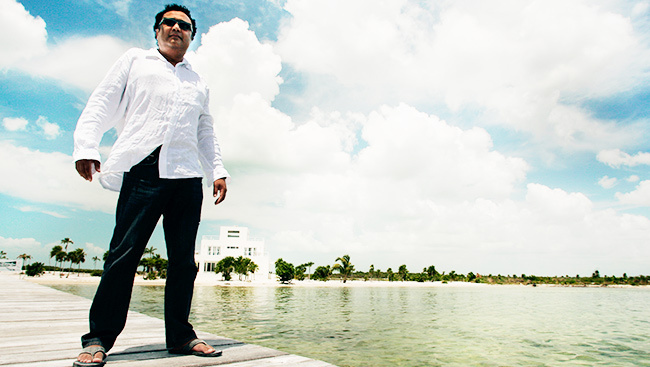 Dhillon bought a 2,300-acre island in Belize in Central America many years ago. "I am developing it into a world-class tourist resort, with hotels, golf clubs, casinos, condominiums, high-end houses, and other facilities. Among my neighbours, who I can reveal is Leonardo DiCaprio. However, one might think Leonardo being my neighbor would imply he owns a house next door, really it means he owns the next island over,” says Dhillon. Dhillon is passionate about Belize. It might be because he is the consul general in Canada for Belize or it may imply that he is turning the page to the next chapter of his life. The island has pristine beaches and the world’s second biggest barrier reef. When asked why Belize, Dhillon reveals that he used to take short trips to neighboring countries when he had some land in Costa Rica. Someone he met on a plane encouraged him to visit Belize. However, Dhillon believes Belize is “the last virgin” – he explains, “It’s the last beautiful place in the Caribbean that hasn’t been developed yet. 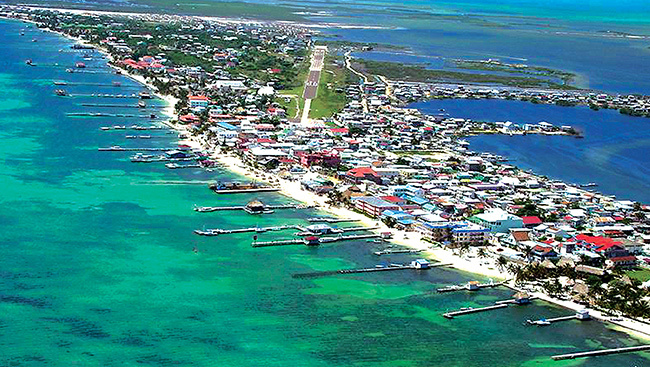 Belize is two away from the biggest market in the world, the United States. It is English speaking. It has the same land title system as Canada. It is common law and there is no foreign ownership restriction. There is no capital gains tax, very minimum income tax. Basically, it is an architecturally controlled oasis in the Caribbean,” states Dhillon. Dhillon’s endurance was tested a few years ago when he was diagnosed with cancer. However, he notes, “What drives me is the second wind on my life when I beat cancer, and went through chemo. Now the stars are realigning. My personality is a fabric of my family, being an immigrant, and beating cancer.” His battle led him to learn kundalini yoga, which has incorporated into his life. He also has included meditation, exercising, and drinking green tea into his daily routine. When asked if he has unfulfilled ambitions in his life, Dhillon notes that he has only started his path of pursuing all his life’s ambitions. “My ambitions and targets change on a daily basis. I want to help with mentoring young South Asians and giving back to society anyway, I can. It would be wonderful to create libraries in every Gurdwara in North America, where the young and old can read and learn about the intricacies of Sikh history. We need to know where we have been and where we have come from in order to move ahead,” notes Dhillon. “Sikhs are good savers, we are great entrepreneurs, and we don’t give up. I think it again reflects with our heritage of being fighters. Sikhs also know that wealth creation is possible, are determined to work hard, and make something of themselves. We definitely know the value of purchasing land and holding onto to it as a long-term investment. This is the time for young Sikhs, who either have immigrated here or were born here to start their own wealth creation. 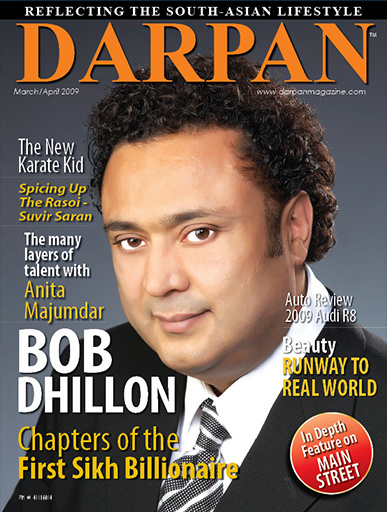 Now and the next 18 months will be their time to purchase real estate and investment in themselves, if I can do it anyone can do it,” affirms Dhillon. He also notes "We're fortunate enough to have all the commodities in the world and China and India will come back roaring and they'll all come back and they'll all want a piece of our commodities. If the United States pulled themselves out of the Great Depression, I am sure they're going to pull themselves out of the mess that we're all in. The bad debt will be cleared and there will be new entrepreneurs to put the world on fire." What is next for this billionaire, well Dhillon is turning his attention to opportunities in the U.S., specifically, Arizona, Nevada, and California. In the next five to seven years, the baby boom generation will begin to inherit billions of dollars from their parents. He is betting that Canadians will look to spend more time in warmer climates, in the U.S. and beyond. In terms of India, Dhillon notes that there is currently a lot of corruption in how things get done in India. At present, my focus remains on Belize and India’s hurdles can be a discouragement for some entrepreneurs; however, I am Sikh and India is my homeland and if the right opportunity comes up then I will be motivated to pursue it. I am motivated to be involved with my heritage – whether it is in the form of scholarships, mentoring, or provided books on our history,” states Dhillon. Dhillon concluded our interview with two key statements. Firstly, he quoted Winston Churchill, “Success is not final, failure is not fatal: it is the courage to continue that counts.” Secondly, he noted, “I am only getting started, I have so many things I want to accomplish - so much to read, so much to learn, so much living to do.” If there is any indication from Dhillon’s past to what his future holds, we can rest assured it will be filled with excitement and we cannot wait to read about the next chapters. Entrepreneurship is an addiction - it is not a choice. Great entrepreneurs are not driven to create companies because it is easy, or because capital is plentiful, or because the markets are swallowing anything the business world will throw at them. Great entrepreneurs start companies because they cannot help themselves. They see a problem, a solution or white space or an opportunity and they have to do something about it. Innovation does not take a vacation during an economic downturn. Innovation is a constant. While the resources an entrepreneur may be able to bring to bear on a problem may vary with the economic climate, the desire -- the need -- to innovate never goes away. And entrepreneurship is the fuel to this innovation. Therefore, it is exciting to speculate about the companies that will be started in 2009. There will be great companies started during this economic crisis. Some of them will be born out of the crisis itself. Others will simply be born during the crisis. However, rest assured, there will be important companies hatched in the next year or two. 1. Bravery: Success is gained through innovation and trailblazing, not playing it safe and closet-mindedness. Truly great entrepreneurs will rather take a leap into the unknown rather than take a well-beaten track. 2. Focus: Having a thousand ideas a second may sound like a fantastic state, but it’s next to useless if you can’t develop a focused and concentrated state of mind. A single idea, focused to its maximum potential can outweigh a hundred half-baked initiatives. 3. Courage: To experience a setback or a failure is a disappointment, but to soldier on through it all, pick up the pieces and start again takes courage and determination. Too many people give up if they make a mistake, only a few are prepared to learn from them and turn them to their advantage. 4. Open-Mindedness: Closet-minded thinkers are typically the worst, unwilling to share with others or allow their vision to be altered. The best entrepreneurs know that they don’t know everything, and that for the best results, they need to leave their concepts bare for examination and judgment by those who know. 5. Methodical Care: The line between bravery and foolishness is preparation, a good idea rushed can do more harm than good. A good entrepreneur knows this and will take every care to ensure that their idea is fully thought out, tested, altered and re-tested before they commit to it. Daljit Thind has capsized the phrase “build it and they will come.” By transforming his humble beginnings into a path of developing custom homes, townhomes, condominiums, and current a project in excess of $100 million – Thind has become an industry pillar. As thinker Edward de Bono said, “There is no doubt that creativity is the most important hu­man resource of all. Without creativity, there would be no progress, and we would be forever repeating the same patterns.” The owner of Vancouver’s Vij’s restaurant, celebrated chef and certified sommelier Vikram Vij, has both known the spark of creativity, and caused measurable progress by unflaggingly applying himself to putting that creativity into practice. Fruit­icana is the culmination of around 15 years of relentless hard work by Mr Tony Singh, Presi­dent and owner of Fruiticana Corpo­ration who has become the ultimate purveyor of Indian speciality items for the Lower Mainland and Alberta’s marketplaces. Along with being an industrious entre­preneur, he is a flying enthusiast and a philanthropist. Gurbaksh Singh Chahal is an American entrepreneur, author, TV per­sonality, motivational speaker, and self made multi-millionaire. Chahal eptimozies that no matter how humble one’s beginnings, there is truly no limit to what an individual can achieve. For the Chahal family, as for many immigrants, education was paramount and his upbringing was exceedingly strict and disciplined.